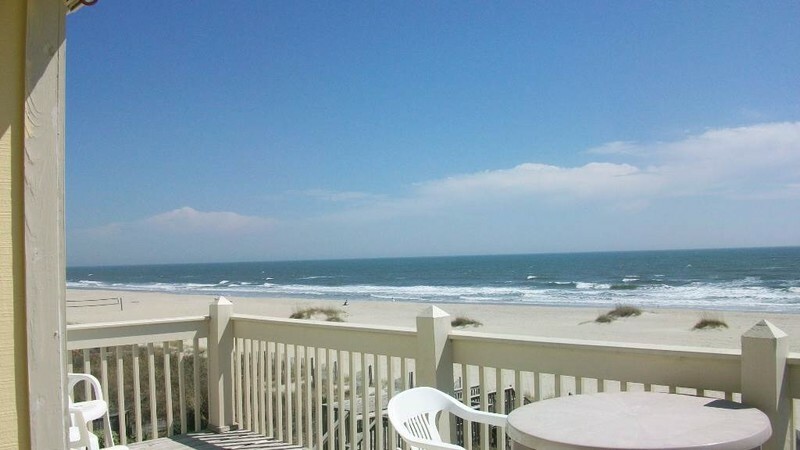 Oceanfront 2 Bedroom/2 Bath Condo at The Dunes with access to oceanfront pool and community grilling area. Fully equipped kitchen, and an oceanfront deck. Sleeps 8 in King, Double/Double, sleeper sofa. All bed and bath linens provided. Paper towels, toilet paper (4), garbage bags, dishwasher soap provided. Other amenities include dishwasher, washer/dryer, microwave, cable television, wireless internet access, outside community shower. Non-smoking.